If I had to narrow it down…if Naoto said that we could only go to one stationery store in Japan…(that would never happen) I would choose Itoya. Unfortunately, Itoya is in the middle of a remodel, so they moved out of their nine floor building with the big red paperclip sign (pictured here in my 2011 blog post) and into a temporary location about a block away. I didn’t care. It was still fantastic…though I suspect some of their inventory was not on display. But they still had plenty to choose from…which was evident by the seven Itoya bags I brought home with me. (You pay for your items on each floor, so by the end if you’re anything like me, you end up with a small collection of purchases.) I bought everything from washi tape, letter sets and paper to pretty handkerchiefs and some new Deco Tapes. The one item on my wish list is pictured above. 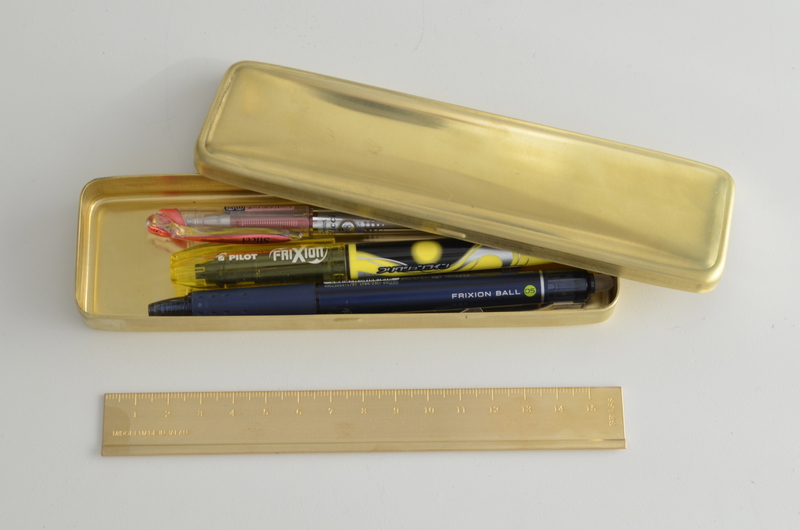 Ever since I saw it at Itoya in 2011, I’ve been thinking about the Midori Brass Pencil Case. So fancy, right? Over the past two years, I almost bought one online several times, but I just couldn’t swallow the large price tag…so I decided to wait until we went back to Itoya so I could avoid the huge mark-up and import fees. Plus, sometimes I just like to buy things in stores, where I can hold the items and fawn over the packaging a bit before making my purchase. And, some Midori products are made in China…I wanted to make sure that I wasn’t spending a lot of money on something that was Japanese without really being Japanese-made. So, once we confirmed the Made in Japan stamp, I knew it would be my “splurge”. 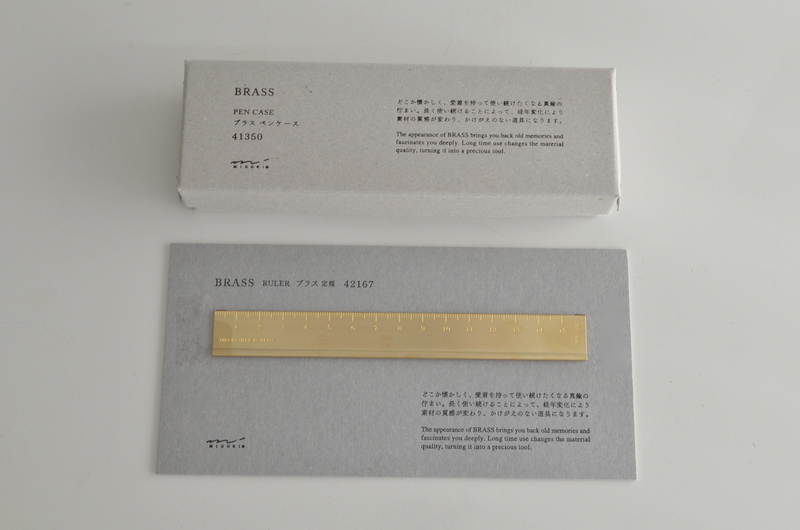 While Naoto and I fawned over the Travelers Notebooks and other brass bits, he talked me into buying the Midori Brass Ruler. It measures in centimeters (which is completely confusing for my US-educated mind!) but I plan to use it more for its straight edge than measurements anyway. I am so pleased with both purchases. 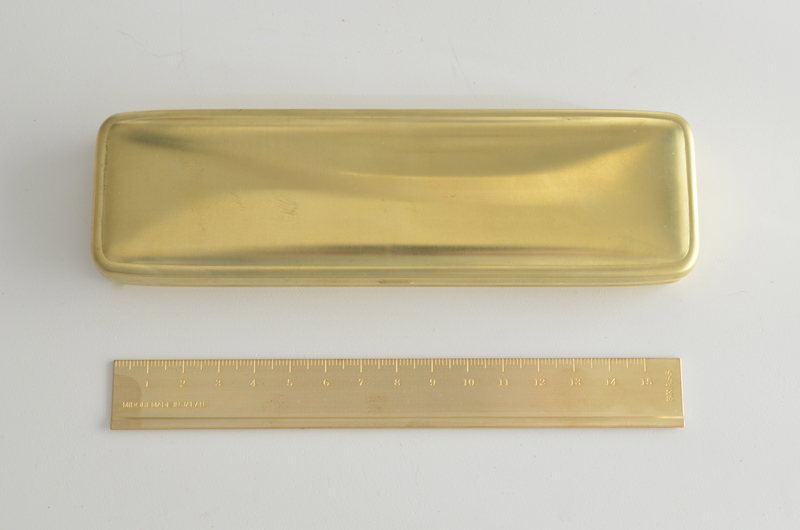 They are lovely, useful and the brass will wear beautifully over time. Thanks for your patience with getting back into Japan month…things are winding down–only a few more posts to go! And, I just got access to the pictures from our Honor Flight last week. I can’t wait to share about our amazing day in DC!